A monthly facial or weekend spa might bring glow to the face but how close is it when it comes to taking out the impurities and making the face taut and supple. Welcome to another find in Beauty Science that is an effective method in making your skin glow to perfection. Presenting Facial Sheet Mask – A composition of cotton or fiber sheets, they are pre-cut into the shape of your face with holes reserved for eyes and lip line. 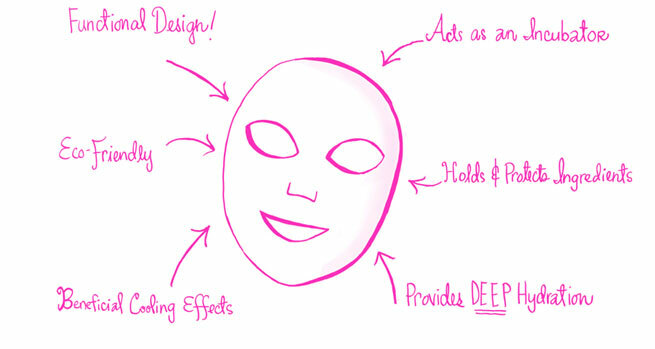 What are Sheet Masks made of? Though originally made of fabric or pulp, substitute materials are also being used in the development of a Sheet Mask. Bio-cellulose material is emerging as a skin-friendly material that is eco-friendly too in comparison to fabric or hydro gel materials. Dry skin is all about dull skin that leads to premature wrinkles. Facial sheet helps provide adequate moisture in the form of water that helps keep the skin moisturised for hours together. What is the beauty of the sheet mask that makes it the top find in getting back moisture on the face? The sheet masks are rich in organic ingredients such as collagen, minerals, hyaluronic acid and vitamins that not only nourish the face, they also protect it from free radical damage. Luckily, there is no requirement of any tools or external help in application. All that it needs is self-help without any training whatsoever. It is a completely hassle-free method that needs putting of the sheet mask on the face for some time and then taking it off after 15-20 minutes. Step 1: Clean your face of any make-up residues using a cleansing wipe and dry your face. Step 2: Use an exfoliator cream to remove the dead skin cells and wipe off your face. Step 3: Take out the sheet mask from the pouch and unfold its 3 layers: plastic film – mask sheet – paper. Step 4: Now remove the plastic film and paper and put the mask sheet on face. 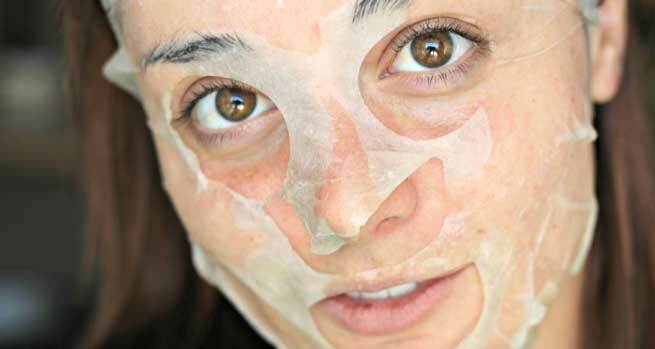 Step 5: After about 20 minutes, take off the mask by gradually peeling it off from the face. Remember, no rinsing or patting it dry required. You can use a moisturising lotion or cream after this activity, in case of dry skin. Keep it in mind not to use this beauty treatment in case you are suffering from skin ailments such as eczema, dermatitis or scars. Happy Sheet Masking for a clean and gorgeous face!